Heavily adorned, this adorable dress from Cinderella Couture will highlight the right dose of dazzle and glam. Elegant illusion tulle dress in champagne, adorned on top with gold coil lace studded with stunning AB rhinestone. Wired bottom skirt, invisible zipper and scarf included. Back spaghetti satin tie for better fitting and comfort and back invisible zipper entrance - full hard net lining. Short Length. This is perfect for all your occasions that call for a festive attire. Suitable for little girls. 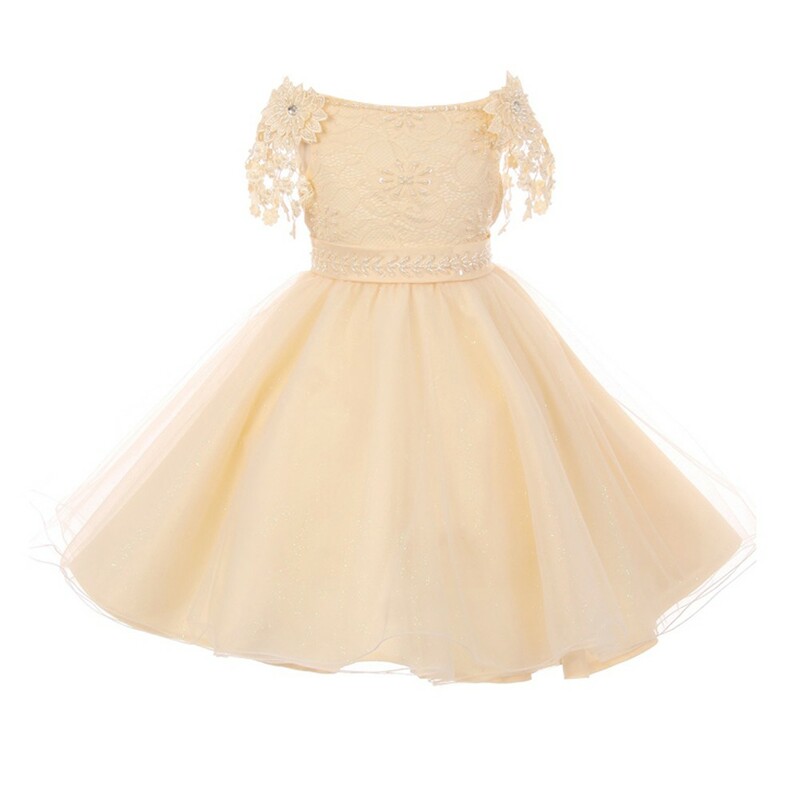 A Cinderella Couture dress for flower girls reflecting great style, high quality and a feminine touch. Features pearl beaded lace bodice, pearl beaded sash and a glitter tulle skirt. Has 1/2" shoulder elastic strap. Cotton lining for comfort. Suitable for all kinds of festive events including Easter celebration.